Last year over 300 volunteered, why not join in this year? 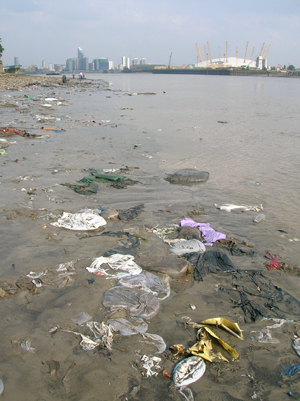 The Isle of Dogs foreshore was once a carpet of plastic litter. Thanks to the hardwork and determination of hundreds of Londoners, the annual Deep Clean has made massive gains in addressing London’s litter legacy. Wide expanses of sandy beach once carpeted with historic waste are now clear, due to your repeated efforts on the Thames foreshore. Following repeat mass volunteer events, there are wide, clean sandy spaces. This year Thames21 are returning to some of the dirtiest patches of the Thames to give London's river a truly Deep Clean, taking advantage of some of the year’s lowest tides. Areas of foreshore normally covered by regular tides will be exposed, allowing teams to tackle the litter that most of us never see! Last year alone, volunteers helped drag out nearly 9 tonnes of embedded plastic and other waste from the Thames! The Deep Clean is one of Thames21's biggest annual volunteering events, and attracts people from far and wide to help clean-up some of the dirtiest stretches of the Thames during the lowest tides of the year. Get stuck in and help make a real difference to London’s iconic river, in a fun and safe way. All equipment will be provided by Thames21, including special safety wellington boots – you just need to come along in old clothes that you don’t mind getting dirty, and which are suitable for the weather conditions! 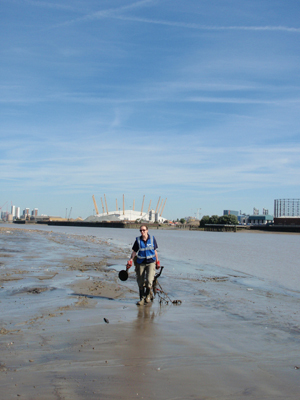 You do not need any prior experience, just a little enthusiasm to get stuck in and help clean the Thames! All ages and abilities welcome. Under 16s must be accompanied by an adult. There’s no need to register in advance, just come along on the day! However, if you would like to come along with a group of friends or colleagues of more than 10 people, please let Thames21 know.